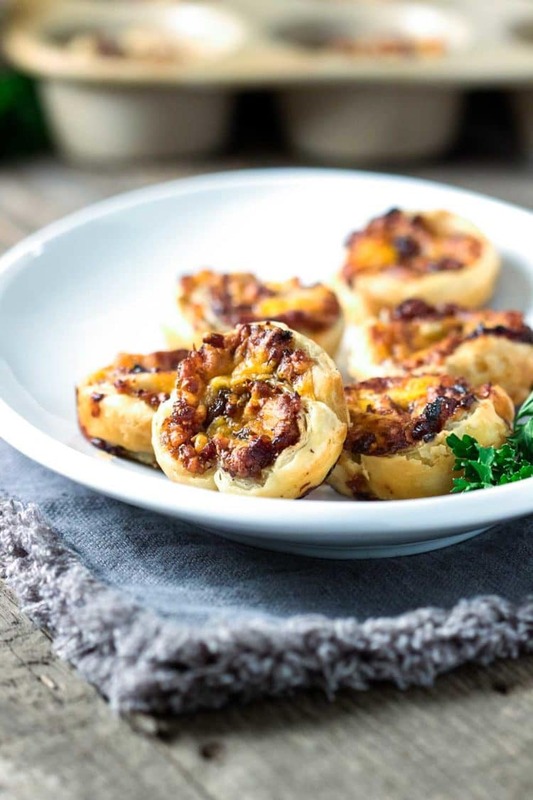 Talk about complex and multi-layered flavors, these Cheddar Bacon Jam Puff Pastry Bites are made with bacon, onions, figs and a variety of other ingredients that make up the perfect, handheld appetizer. 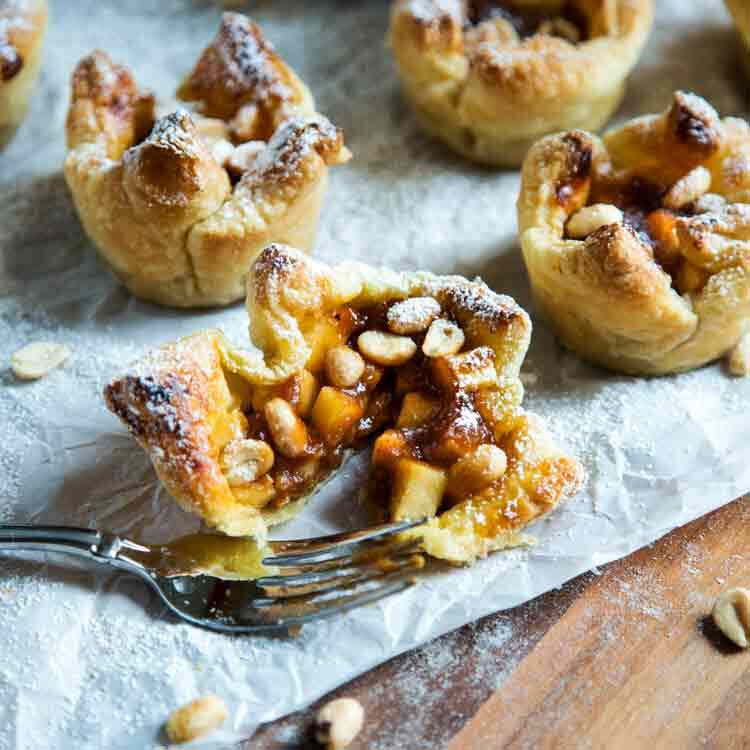 Who doesn’t love anything in puff pastry, right? 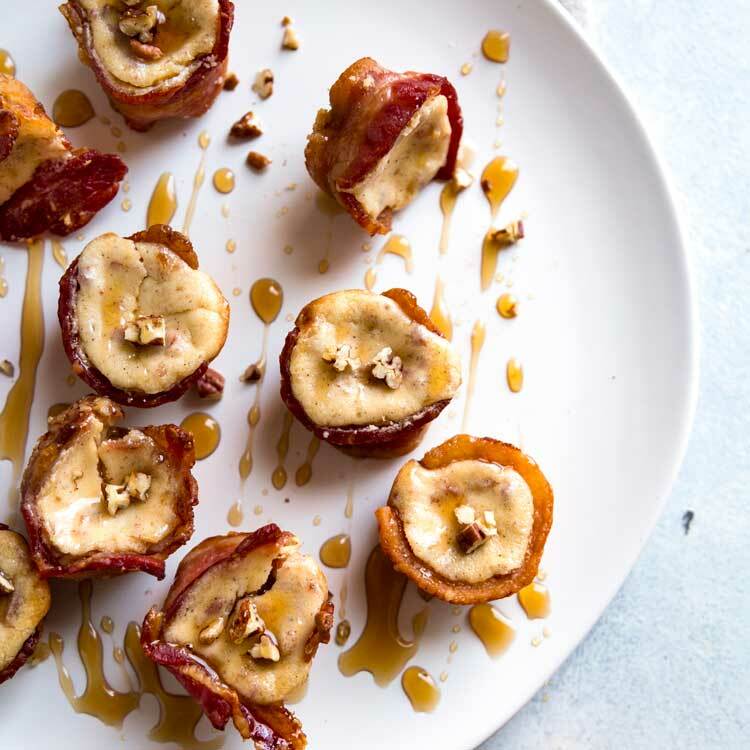 Add to that a bacon jam made up of slow rendered bacon, sautéed red onion, figs and apple cider vinegar to name a few of the ingredients, and you will be captivated by this one. 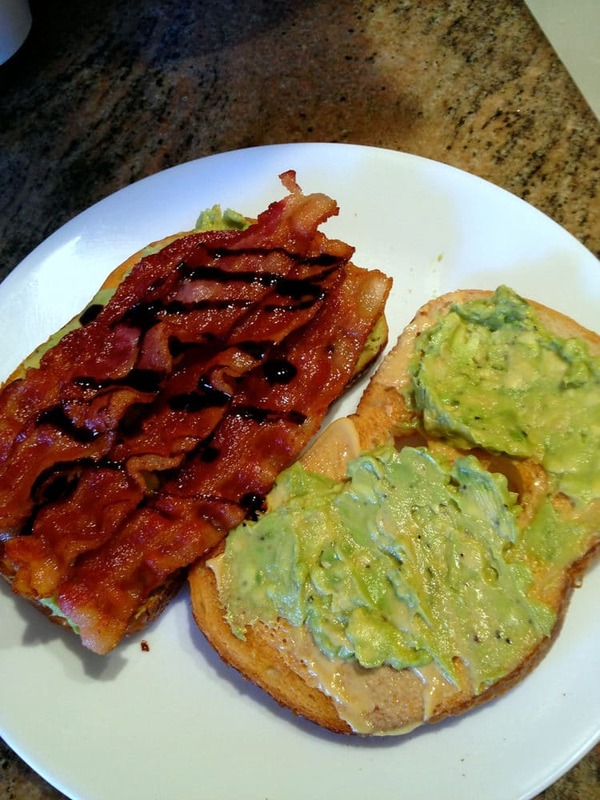 If the bacon jam isn’t your thing, crumbled bacon works well, too! 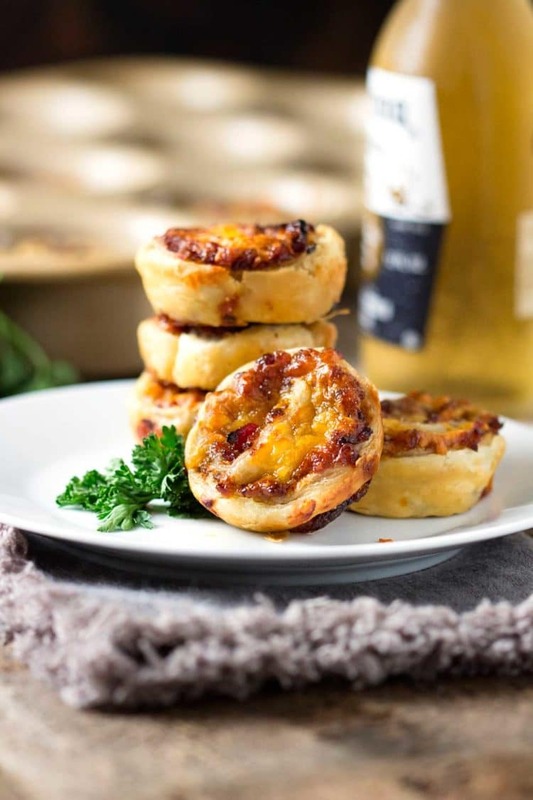 Now layer that bacon jam with shredded cheddar cheese and you will find your new cocktail party food, Game Day appetizer, or with the upcoming holidays, something to tide the guests over before the big dinner. Wow these are good! Using up the last of our fig bounty, I decided to add a few to my bacon jam that’s sweet and savory. I read several recipes and tried my hand at my own version and these Cheddar Bacon Jam Puff Pastry Bites came to be. The key ingredient that makes the bacon jam so dimensional, or better yet, umami, is the coffee addition. So good and rich. After a sauté of the red onions in apple cider vinegar, the figs and other ingredients were added and adjusted to taste. It kept building and the red pepper flakes addition is great. A tad bit of heat to counter the sweet and savoriness. Puff pastry is a great go to for any appetizer and this is no different. 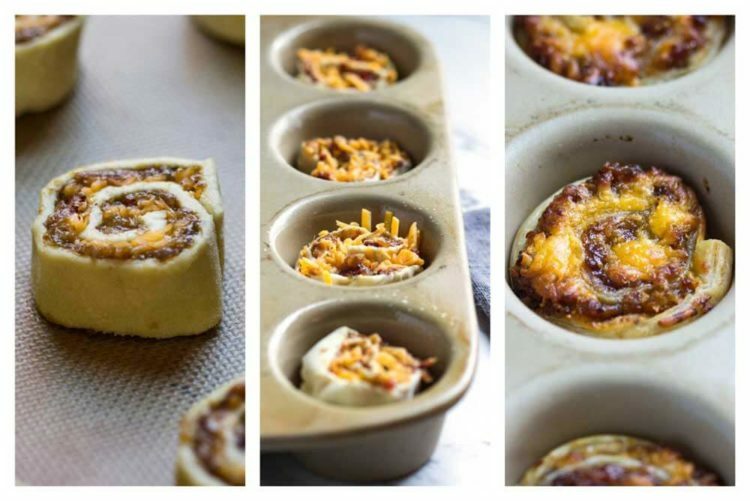 Thawed out and spread with the cooled bacon jam, this gets topped with shredded sharp cheddar cheese and rolled up spiral style. A pop in the refrigerator to firm up for 10 minutes and then I used a serrated knife to slice. I could have just cut them and made spiral puff pastry bites, and so could you at this point, but I tried another route by dropping them in muffin pan and they held their shape better. Truth be told I made them both ways. We had friends over one Friday and I taste tested the spiral version on everyone and then made them again in the muffin pan. I like how compact they are in this version, but you can be the judge. 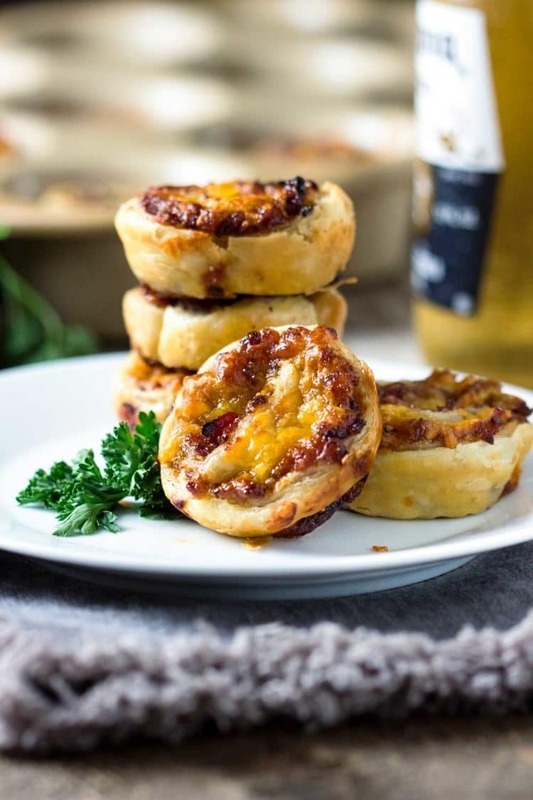 Either way these are cheesy, packed with bacon, sweet figs and offset by tart apple cider and the coffee (I used a double shot of espresso) gave it all that umami flavor to bring it together and become these incredible Cheddar Bacon Jam Puff Pastry Bites. 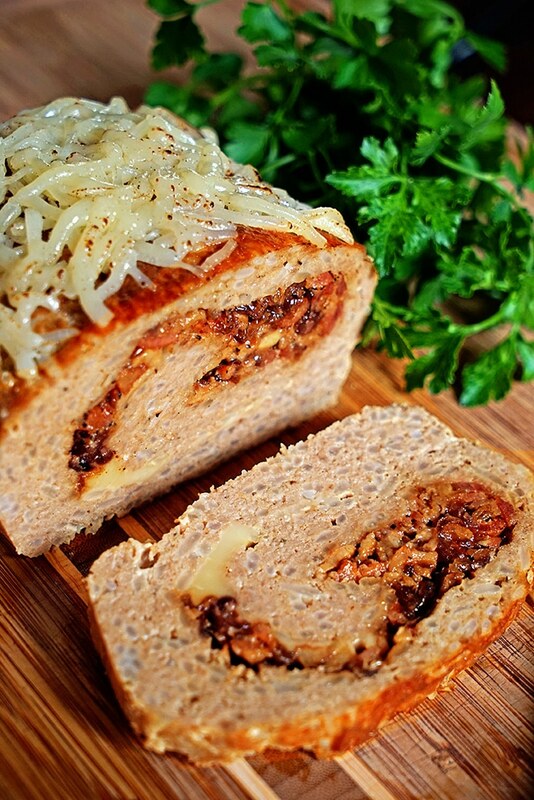 I’ve made bacon jam before, like in my older recipe for Bacon Jam and Fontina Loaded Turkey and Rice Meatloaf, but this version is just incredible. If you don’t have fresh figs, dried can be soaked in hot water to reconstitute a bit and used instead. 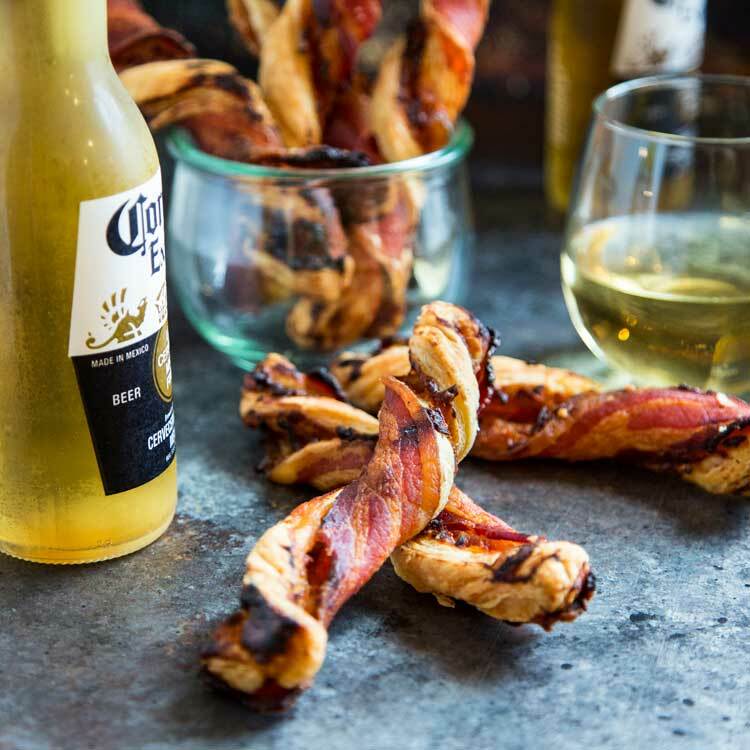 These are a fantastic appetizer and a great idea to add to your list for the upcoming holidays to serve. 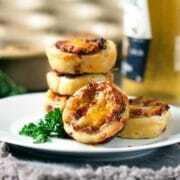 If you like this kind of appetizer, check out my Maple Pancetta Cheddar Cheese Tart, too. Enjoy! For the Fig Bacon Jam: In a large skillet, cook chopped bacon over medium heat, stirring occasionally, until fat is rendered and bacon is browned, about 15 minutes. 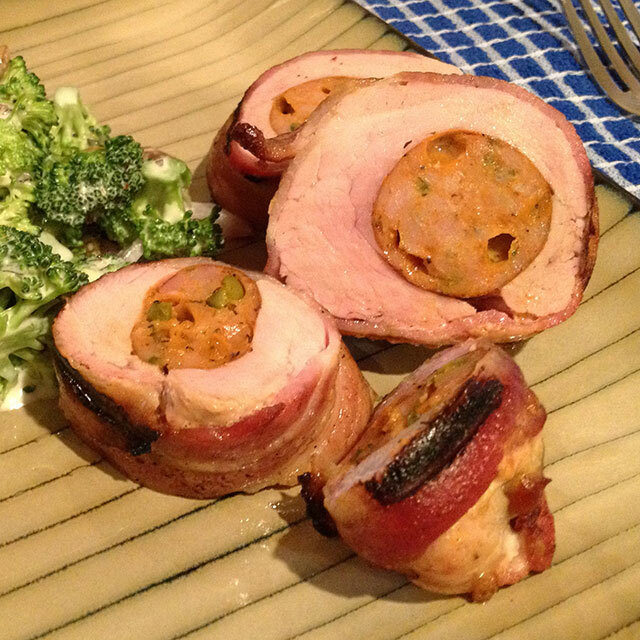 Using a slotted spoon, remove bacon to plate lined with paper towels to drain. Remove all but 1 tablespoon of bacon fat from skillet (See Note 1) and over medium heat, sauté red onions and garlic, and cook until onions are translucent, about 5 minutes. Add figs (See Note 2), brown sugar, apple cider vinegar, coffee (See Note 3) and pinch of red pepper flakes (See Note 4) and bring to a boil, stirring and scraping skillet with a wooden spoon, about 2 minutes. Add bacon back to the skillet and stir to combine. Continue to cook for 2 minutes, mixture should thicken and reduce. Allow to cool and scrape into food processor. Pulse several times to a chunky, spreadable jam consistency. 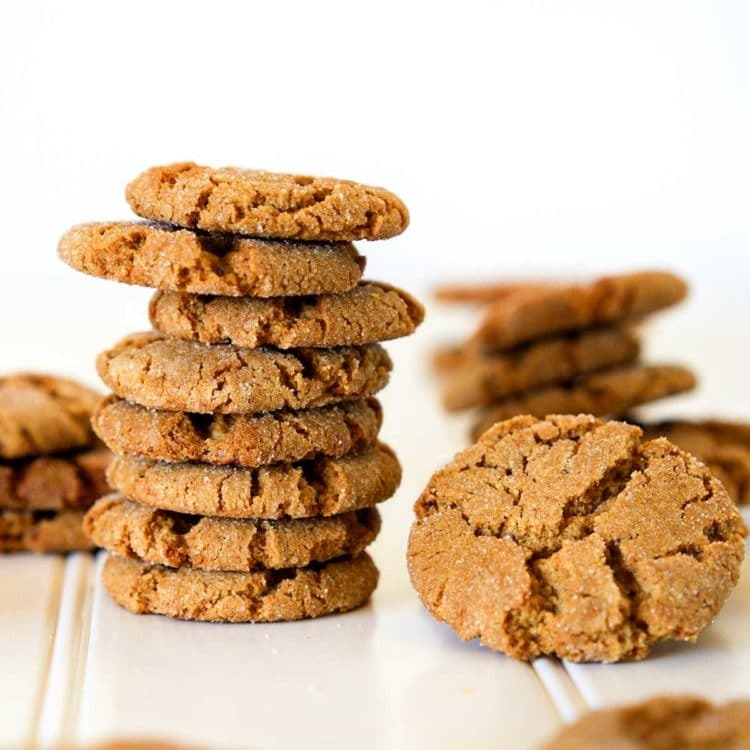 Refrigerate in airtight container for up to 2 weeks if not using immediately. Assembly: Preheat oven to 400°F. Thaw puff pastry sheets and place on lightly floured surface. Divide and spread fig bacon jam over each sheet, almost to edges. 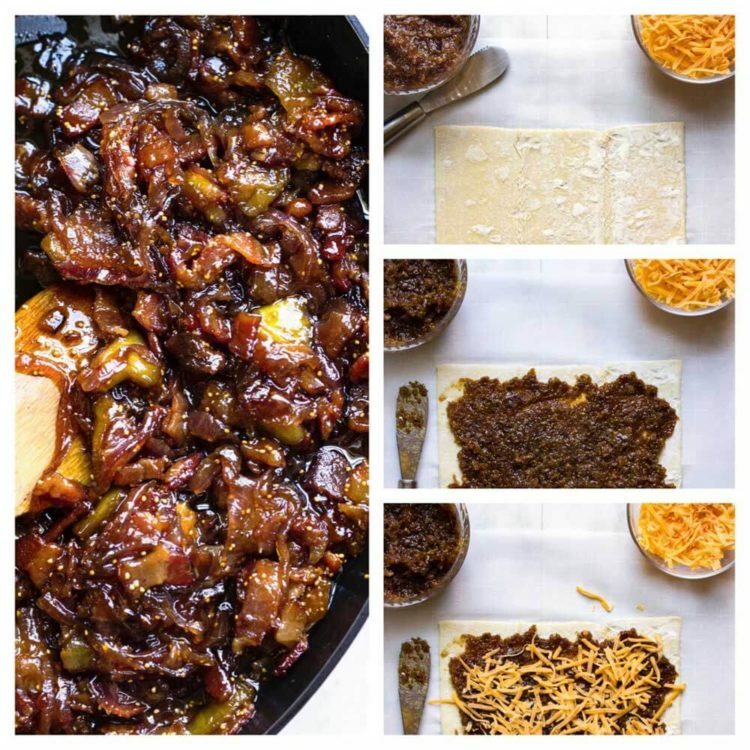 Divide cheddar cheese over each, topping the fig bacon jam. Starting at a short side, roll up like a jelly roll. Using a serrated knife slice each roll into about 12 slices. Place the slices, cut-side down, into greased muffin pan and bake for 15 minutes or until golden brown. Remove from oven, allow to cool slightly and run knife around each muffin mold to loosen and lift out. Serve immediately. 1. I keep bacon fat in a jar that is kept in the refrigerator for other uses. 2. If you don't have fresh figs, dried can be soaked in hot water to reconstitute a bit and used instead. 3. I used a double shot of espresso and like the intensity of flavor, but feel free to use same amount of brewed coffee. 4. Feel free to substitute 1/4 teaspoon black pepper for the pinch of red pepper flakes. Can you freeze and if so at what stage?? I would freeze these just after slicing. Keep them on a sheet pan and freeze. 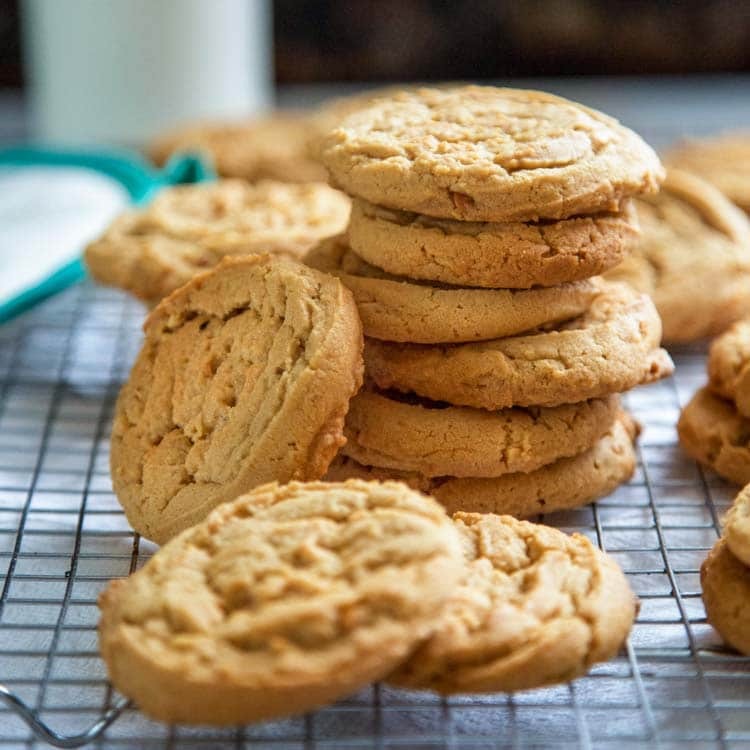 Once frozen, remove from pan and put in a Freezer bag until ready to bake.